Law applies to: All federally funded, assisted, or licensed undertakings. Regulating agencies: Advisory Council Historic Preservation and DHR. Who is responsible for compliance: The sponsoring Federal agency or its designee. This law and its implementing regulation codified at 36 CFR Part 800 require Federal agencies with jurisdiction over a federal, federally assisted, or federally licensed undertaking to take into account the effects of the agency’s actions on properties included in or eligible for the National Register of Historic Places and, prior to approval of the undertaking, to afford the Advisory Council on Historic Preservation a reasonable opportunity to comment on the undertaking. 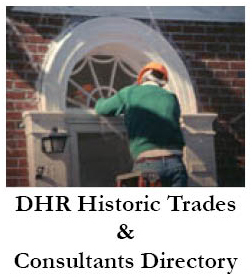 The State Historic Preservation Officer, which in Virginia is the director of DHR, coordinates state participation in the implementation of the National Historic Preservation Act and is a key participant in the Section 106 process. DHR performs the primary review of federally-assisted projects and provides guidance to Federal agencies and their designees in carrying out their responsibilities under Section 106 and its associated regulations. Law applies to: All Federal agencies. Regulating agencies: National Park Service and the Advisory Council on Historic Preservation. Who is responsible for compliance: All Federal agencies who may own historic properties. The purpose of Section 110 is to ensure that historic preservation is fully integrated into the ongoing programs and missions of Federal agencies. This regulation requires a Federal agency head with jurisdiction over properties that may contain historically significant resources to identify and protect those resources. It requires that Federal agencies use and preserve their historic properties. Law applies to: All Federal undertakings. Under NEPA and its implementing regulations codified at 40 CFR Parts 1500-1508, Federal agencies have broad responsibilities to consider the impacts of their activities on the environment, including historic properties. To an extent, NEPA addresses some of the same concerns as NHPA, for instance regarding identification of irreversible effects. Although NEPA is a totally separate authority from Section 106, and is not satisfied simply by complying with NHPA, it is perfectly reasonable for agencies to coordinate studies done and documents prepared under Section 106 with those done under NEPA. The ACHP’s regulations provide guidance on how the NEPA and Section 106 processes can be coordinated and set forth the manner in which a Federal agency can use the NEPA process and documentation to comply with Section 106. Law applies to: All agencies within the U.S. Department of Transportation. Regulating agencies: DHR, Advisory Council on Historic Preservation, and the National Park Service. Who is responsible for compliance: U.S. Department of Transportation. Section 4(f) of the U.S. Department of Transportation Act of 1966, as amended, and its implementing regulations at 23 CFR Part 774requires USDOT agencies, such as the Federal Highway Administration and the Federal Transit Administration, to consider the impacts of transportation projects funded or approved by such agencies on specific categories of properties which include park and recreational lands, wildlife and waterfowl refuges, and historic properties eligible or listed in the National Register of Historic Places. Before approving or funding a project that will have an adverse effect on a qualifying resource, the USDOT agency must find that there is no prudent and feasible alternative AND that the selection alternative minimizes harm to the resource. If there exists a prudent and feasible alternative that completely avoids the qualifying resource, it must be selected. The role of DHR is to comment on the identification of historic properties and effect that the project will have on them, if present, review and comment on the draft Section 4(f) and least harm analyses, and to review the finding by the USDOT agency that an archaeological resource is important chiefly because of what may be learned through its data recovery. Law applies to: All public accommodations, commercial facilities, and state and local government entities. Regulating agencies: U.S. Department of Justice and DHR. Who is responsible for compliance: Anyone who owns or operates a public accommodation, a commercial facility, or buildings owned or leased by a state or local government agency. The ADA requires that new buildings and facilities and altered portions of existing buildings and facilities be readily accessible. For existing buildings and facilities, the ADA requires that all barriers to accessibility be removed when it is “readily achievable” to do so. In the case of historic properties, the ADA provides for the following: if making a “qualified historic building” accessible would threaten or destroy the historic significance of that building or facility, certain alternative minimum accessibility standards may be applied. If the alteration is part of a Federal undertaking, the responsible Federal agency should contact both DHR and the Advisory Council on Historic Preservation. If the alterations to the historic property are not federally sponsored, and the responsible party believes that full compliance with the ADA would threaten or destroy the building’s or facility’s historic significance, he should consult with the Department of Historic Resources. If the department agrees, the alternative minimum standards may be used. Law applies to: Objects of antiquity located on archaeological sites on state-controlled land (§ 10.1-2302) and human burials located in the Commonwealth (§ 10.1-2305). Party responsible for compliance: The state agency or individual initiating the archaeological field investigation or removal of human remains from archaeological sites. The Virginia Antiquities Act prohibits damage to or removal of objects of antiquity from archaeological sites on all state-controlled land. This act does not restrict a state agency from construction or other land disturbing activities on its own land, but does prohibit all “relic hunting” or any archaeological field investigations without a permit from DHR. DHR is charged with coordinating all archaeological field investigations and surveys conducted on state-controlled lands (§10.1-2301; 1, 2). The department is given exclusive right and privilege to conduct field investigations on state lands, but may grant those privileges to others through a permit process (§10.1-2302 and 2303). The department also has final authority to identify and evaluate the significance of sites and objects of antiquity found on state lands (§10.1-2301; 3). Permits are issued through the department’s Office of Review and Compliance. General cemetery protection laws make it a felony to remove human remains from a grave without a court order or appropriate permit. Section 2305 of the Virginia Antiquities Act provides a permit process for archaeological field investigations involving the removal of human remains and artifacts from graves. These permits are issued through the DHR’s Office of Review and Compliance. Law applies to: Major construction initiated by a state agency. Coordinating agency: Department of Environmental Quality. Party responsible for compliance: The state agency initiating the construction project. The Department of Environmental Quality provides comments on the environmental impacts of all major state projects (state facility construction, or acquisition of land interests for purposes of construction costing more than $500,000 with exceptions specified by law). These comments go to the Governor through department secretaries as well as to the project proponent agency and reviewing agencies. The comments represent the findings of all state agencies with applicable responsibilities or interests. Comments are provided to the sponsoring agency in time to permit modifications necessary because of environmental impact. DHR is invited to submit comments to the Department of Environmental Quality when an environmental impact report describes a project that might affect historic properties or archaeological sites. The Secretary of Administration has approval authority as delegated by the Governor through Executive Order. Law applies to: Proposed demolitions of state-owned buildings. Reviewing agencies: Department of Historic Resources, Art and Architecture Review Board, Division of Engineering and Buildings. Party responsible for compliance: The state agency initiating the demolition. The regulation provides that no building or appurtenant structure shall be removed from state-owned property unless approved by the Governor upon the advice of the Art and Architecture Review Board. The Governor further conditions approval upon the recommendation of DHR and the Department of General Services. Law applies to: Sale or lease of surplus property by a state agency. Coordinating agency: Secretary of Natural Resources. Party responsible for compliance: Department of General Services. The Department of General Services shall request the written opinion of the Secretary of Natural Resources regarding whether the sale of a state-owned property is a significant component of the Commonwealth’s natural or historic resources, and if so how to protect the resource in the event of its sale. The DHR, through the Secretary of Natural Resources, shall provide comments regarding the affect that the transfer of state-owned property will have on historic and archaeological resources significant to the Commonwealth. The Department of General Services shall make the comments of the Secretary of Natural Resources known to the Governor who shall provide prior written approval before the Department may proceed to sell the property. Law applies to: Projects or undertakings that will affect state-owned landmarks listed on the Virginia Landmarks Register. Reviewing agencies: Department of General Services and DHR. Party responsible for compliance: The state agency initiating the project. The specific provisions for review of rehabilitation and restoration projects on state-owned Registered Historic Landmarks are in the biennial Budget Bill. Guarantees that the historical and/or architectural integrity of any state-owned properties listed on the Virginia Landmarks Register and the knowledge to be gained from archaeological sites will not be adversely affected because of inappropriate changes, the heads of those agencies in charge of such properties are directed to submit all plans for significant alterations, remodeling, redecoration, restoration or repairs that may basically alter the appearance of the structure, landscaping, or demolition to DHR. Such plans shall be reviewed within thirty days and the comments of that department shall be submitted to the Governor through the Department of General Services for use in making a final determination. Law applies to: Construction or rehabilitation of any building or structure to be sited on state-owned property. Regulating agencies: Department of General Services. Who is responsible for compliance: The state agency initiating the project. The director of the Department of Historic Resources sits on the Art and Architecture Review Board (Department of General Services) and, as an ex officio member of that board, comments on all projects brought to the board for review and comment. Law applies to: Caves and rockshelters located in the Commonwealth. Regulating agencies: Department of Conservation and Recreation (Natural Heritage Division). Party responsible for compliance: Any agency or individual involved in the research within caves in the Commonwealth. The Cave Protection Act protects from vandalism all geological, biological, and historic features in caves regardless of ownership. A permit is required from the Department of Conservation and Recreation, Natural Heritage Division, for research within caves and rock shelters. The concurrence of DHR is required before the issuance of a permit. 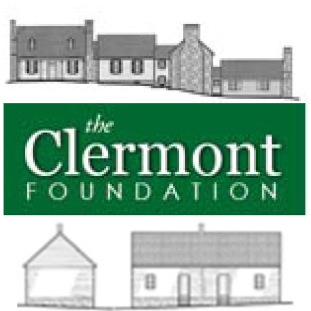 Law applies to: All underwater properties on bottomlands owned by the Commonwealth. Regulating agencies: Virginia Marine Resources Commission. Party responsible for compliance: Any agency or individual planning to explore or recover objects underwater. The permitting process protects underwater historical properties, including shipwrecks and submerged terrestrial sites. Permits for either exploration or recovery are required from Virginia Marine Resources Commission. DHR is consulted prior to issuance of the permits and determines which properties are historic. A permit from the Director of the Department of Historic Resources is required for archaeological recovery of all human skeletal remains and associated artifacts from any unmarked grave, regardless of the age of the burial or archaeological site or ownership of the property. If the grave is part of a formally chartered cemetery, the recovery must also conform to the requirements of § 57-38.1 (“Proceedings by landowner for removal of remains from abandoned family graveyards”) and § 57-39 (“Proceedings by heir at law or descendants for removal of ancestor’s remains from abandoned family graveyard”). If the grave is not part of a formally chartered cemetery, the recovery is exempt from these requirements. The Department shall also be considered an interested party in any court proceedings considering the abandonment of historically significant, legally constituted cemeteries and burial grounds. A permit from the Director of DHR will be required if such proceedings result in a court-ordered removal involving the use of archaeologists. Allows recovery of damages sustained due to willful or malicious destruction, mutilation, defacement or removal of any cemetery element. Persons wishing to subdivide property in any area where subdivision ordinances apply must include the location of any human graves or cemeteries within that property on the plat. Prohibits entrance to any cemetery, its grounds or parking/driving areas at night for any purpose other than to visit the gravesite of a family member (Class 4 misdemeanor). Prohibits unlawful removal of all or part of a buried human body (Class 4 felony). Also prohibits willful and intentional defilement of a dead human body (Class 6 felony). Prohibits unauthorized damage to or destruction of plants, trees, funerary monuments and offerings, church buildings, fences, walls, etc. Prohibits construction of roads through cemetery property without permission. Coal surface mining cannot be conducted within 100 feet of a cemetery. Mandates access to cemeteries on private land for visitation, maintenance and genealogical purposes, with reasonable notice to landowner. Visitor assumes all liability. Local governments may condemn abandoned or neglected cemeteries through eminent domain and use the land for other purposes. Landowners may petition the county or city circuit court for permission to remove and relocate human burials located in cemeteries in which there have been no burials for at least 25 years and upon which there are no reservations of rights. Heir or descendant may petition the county or city circuit court for permission to remove and relocate an ancestor’s remains from a cemetery in which there have been no burials for at least 25 years. Owners or trustees of neglected or disuses cemeteries and potter’s fields may petition the county or city circuit court for permission to relocate the remains and sell the property. In the case of a potter’s field, the court may mandate that the proceeds be used for charitable purposes. Owners of land adjacent to abandoned or neglected cemeteries may petition the court for permission to return the cemetery to a suitable condition.